High Mesa Consulting Group (HMCG) has recently completed design and construction phase services for this Elementary School Kindergarten Building Addition project within Albuquerque, New Mexico. 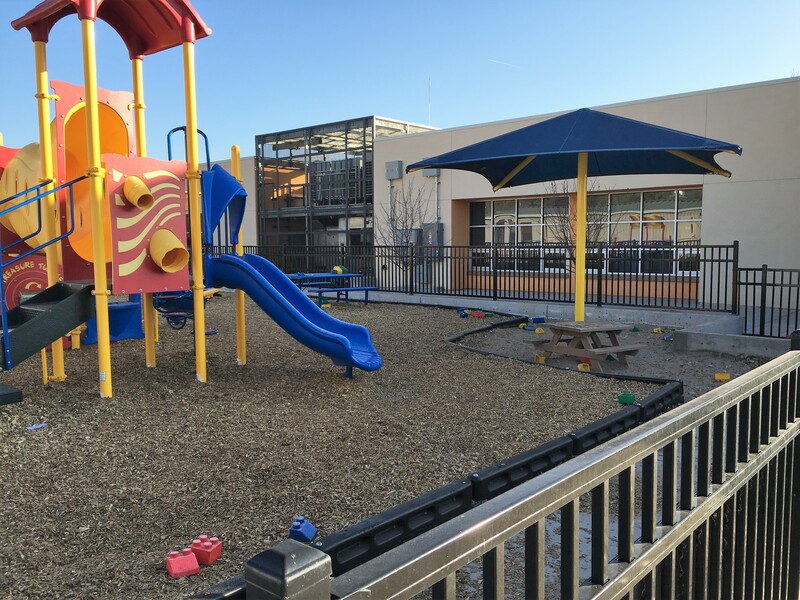 This project included a new Classroom Building Addition with associated pedestrian access, playground, utility and drainage improvements. 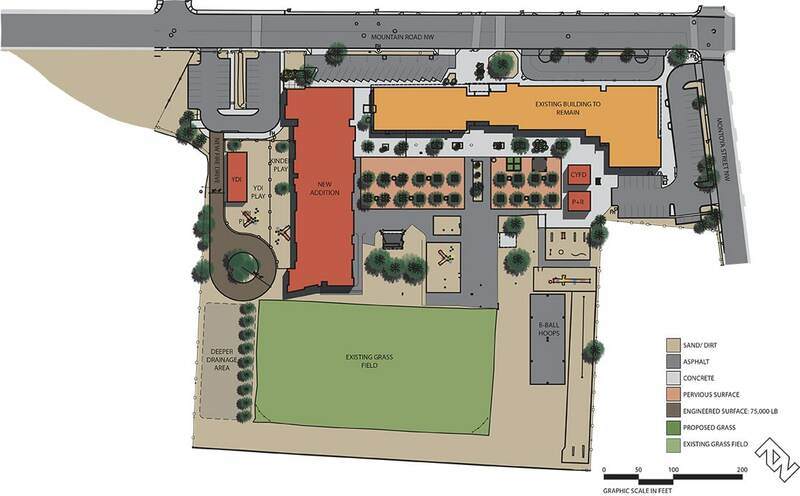 As part of the Project Architect’s design team, HMCG has provided construction drawings and construction phase services including grading and drainage, paving, detention ponding, water, fire protection and sanitary sewer improvements as well as erosion and sediment control plans. 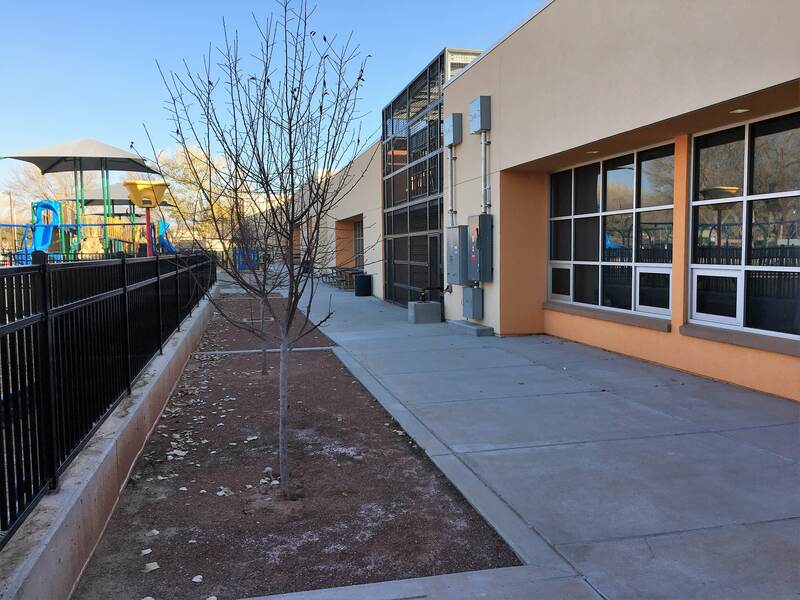 In addition, HMCG prepared City of Albuquerque Work Order construction drawings for the public water, fire protection and sanitary sewer services that serve this new building addition. 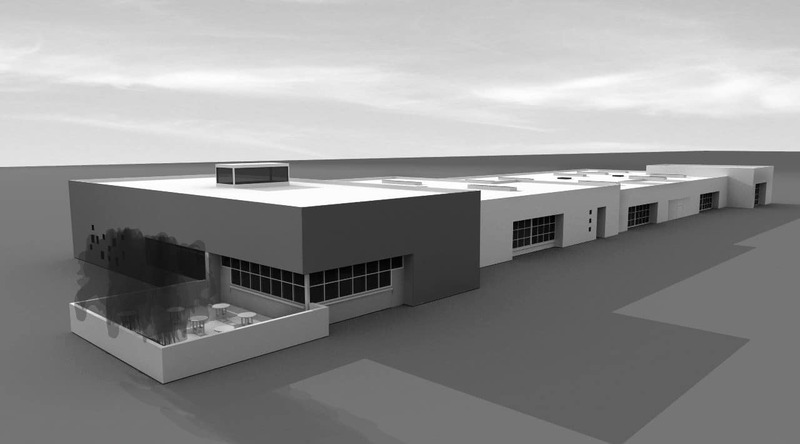 Through our on-call professional services contracts with APS, HMCG has provided a wide variety of design and construction phase planning, surveying, engineering and utility consultation services to support the project. HMCG provided Boundary and Topographic Surveys of the site to support on-site building, utility and drainage improvement designs. HMCG conducted easement surveys and prepared easement survey exhibits for the public fire line and fire hydrant installed onsite. 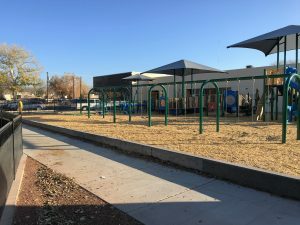 HMCG engineering services included a master drainage plan, public water line designs for metered service and fire protection, plans for installation of portable classrooms and utility relocations. 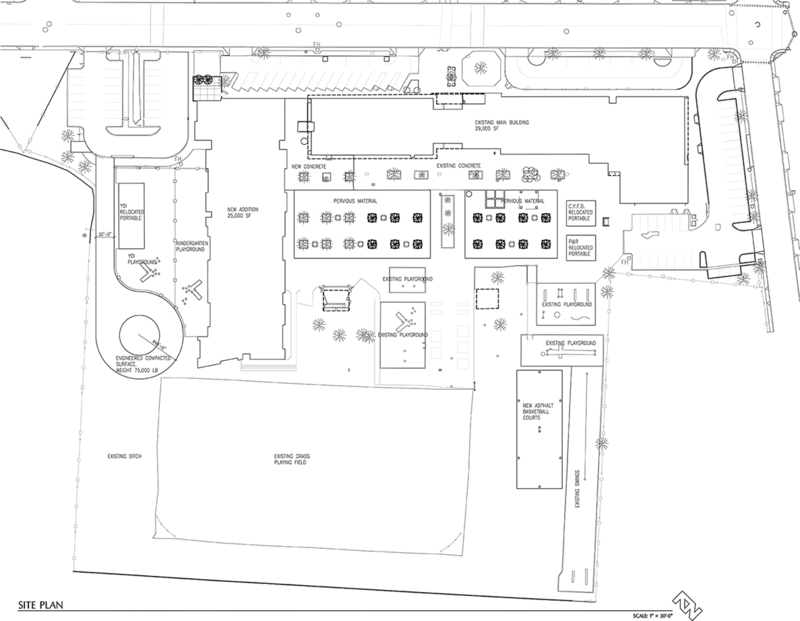 HMCG conducted subsurface utility investigations, prepared construction plans, and provided construction staking and observation services for the new water, fire protection and sanitary sewer installations. 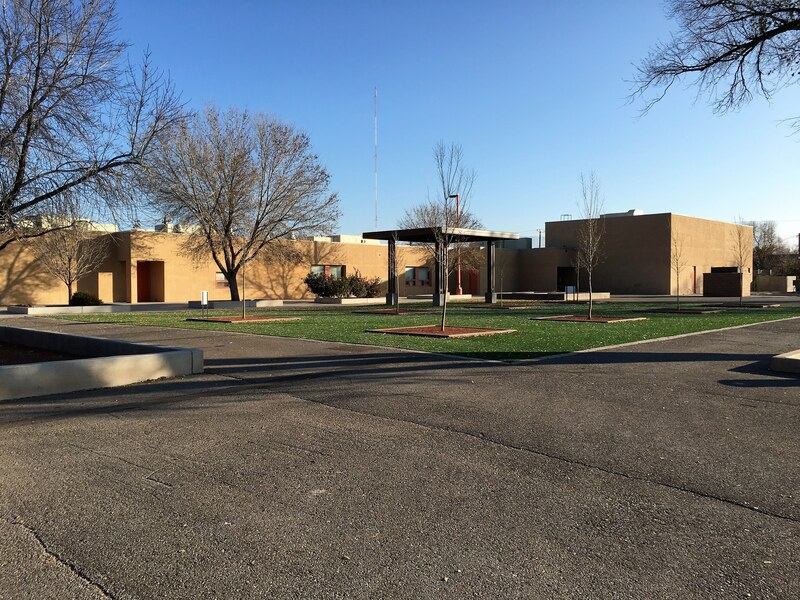 HMCG also provided utility designation (line-spotting) services for the project as the APS on-call consultant for the New Mexico One-Call (NM811) process. The addition and site work were completed for the 2016-2017 school year.